December 4, 2014 –The Chicago Tribune reports on a developing controversy surrounding the draft plan of the Lake County Forest Preserve’s Planning, Building and Zoning Committee to return the grasslands at Fort Sheridan to woodlands. The chairwoman of the planning committee, Bonnie Thomson Carter, a District 5 Lake County Board member, says, “The draft plan suggests returning the preserve to what it looked like historically 100 years ago. That part of the plan is based on the prehistoric use of the land, the natural resources and the vision of the forest preserve.” [Chicago Tribune, December 4, 2014] Not everyone is happy. Sonny Cohen, a Highland Park resident, who campaigned for a preserve in the area where the former army base’s airstrip and rifle range once was located, says, “The preserve – with grasslands – has evolved as this incredible place. Wildlife has discovered it, and it has become a habitat for some very rare species.” Others say that planting trees in the grassland will interfere with the monitoring of hawks, a watch that was begun in 2012. Vic Berardi, a Gurnee resident and founder of the hawk watch at Illinois Beach State Park, says, “This could become the most important hawk migration sites in America. But it has to be accessible if it’s used for educational purposes.” Still others fault the lack of convenient parking in the new plan, which would restore the old parking area to a natural setting. 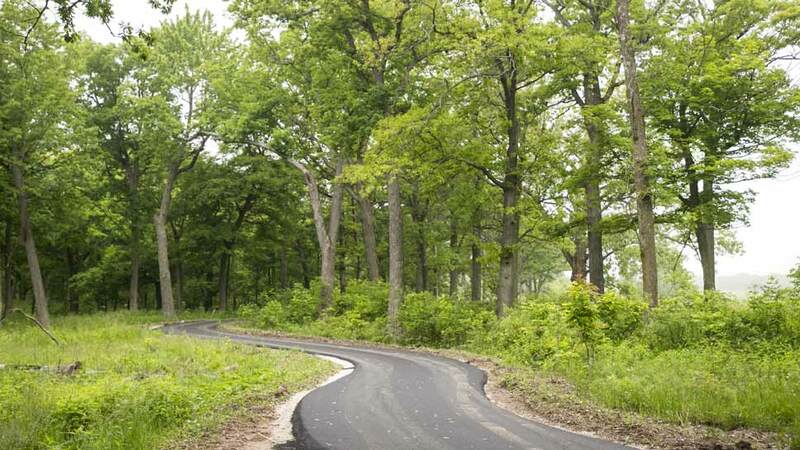 In late fall of 2016 the Lake County Forest Preserve’s Board of Commissioners unanimously approves a master plan that entails $3.8 million in improvements, including 1.6 miles of mowed trails, 2.8 miles of asphalt trails, five boardwalks, three observation areas, a dozen interpretive exhibits and the restoration of 73 acres of woodland and savanna, returning these areas to habitats resembling those prior to settlement of the area. 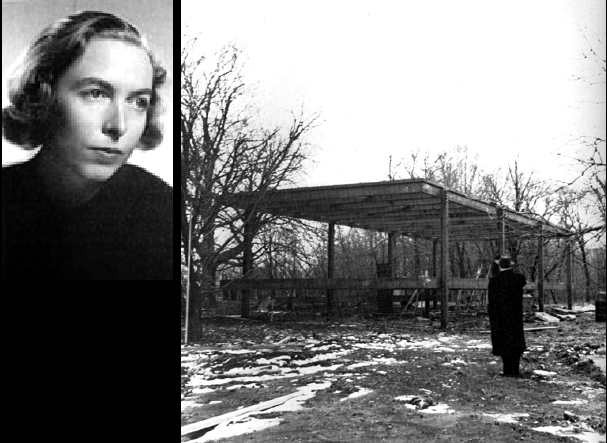 December 4, 1977 – Dr. Edith Brooks Farnsworth, aged 71, dies at her villa near Florence, Italy, a long distance from Passavant Memorial Hospital in Chicago where she spent 27 years on the staff. Farnsworth, of course, was the client who commissioned Mies van der Rohe to design a house for her in Kendall County on land which she had purchased from Colonel Robert McCormick, the editor and publisher of the Chicago Tribune. Recognized throughout the world today as a gem of mid-century modern residential architecture, the project, finished in 1959, led to years of legal wrangling between Farnsworth and her architect. Farnsworth was a graduate of the University of Chicago, from which she graduated with a degree in literature, going on to get a degree in medicine in 1939 from the Northwestern University Medical School. Farnsworth’s ashes were returned to Chicago, and she is buried at Graceland Cemetery, where her headstone is within sight of the grave of Mies van der Rohe. For more on the legal battle that raged between the two from 1951 to 1956, you can turn to this entry in Connecting the Windy City. Information on the resolution of the suit can be found here.